Place the cut watermelon on an oiled grill and allow to cook for 2 minutes per side or until slightly charred. Combine yogurt and honey. Add basil and lime zest and juice. 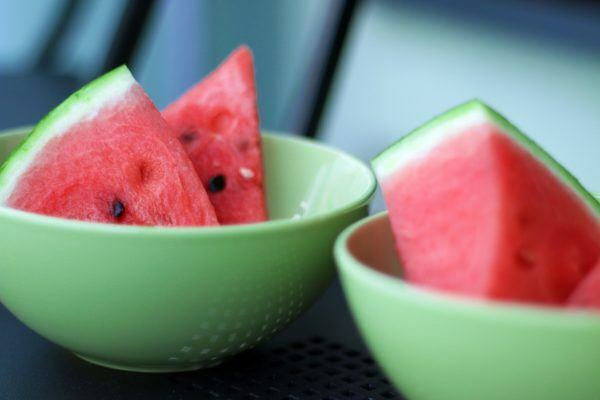 Remove watermelon from grill and cut into chunks. Combine with yogurt mixture.